Ready for romance in style? 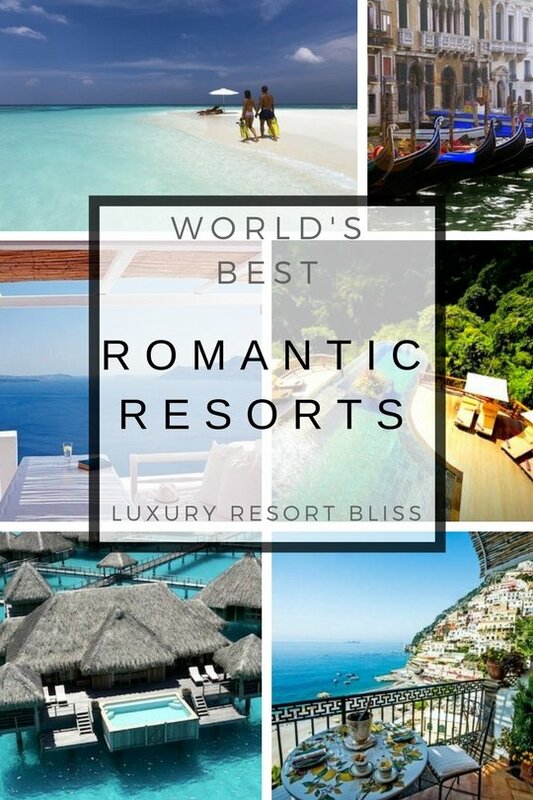 We've handpicked the best luxury romantic resorts worldwide. 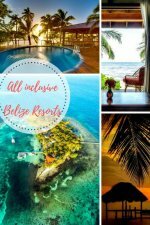 We've found great spots from luxury romantic resorts from Europe to the Caribbean adult only all inclusive resorts. All these resorts conjure up that mysterious emotion we associate with love and stimulate our sense of excitement and anticipation. They are all destinations and resorts which are perfect for making love grow and giving you those special memories to look back on. How About A Tropical Island? 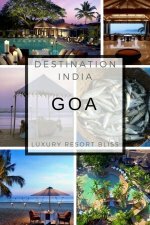 Finding luxury romantic resorts worldwide is somewhat a matter of taste but there are a number of tried and tested traditions that help get those romantic sparks a-firing. 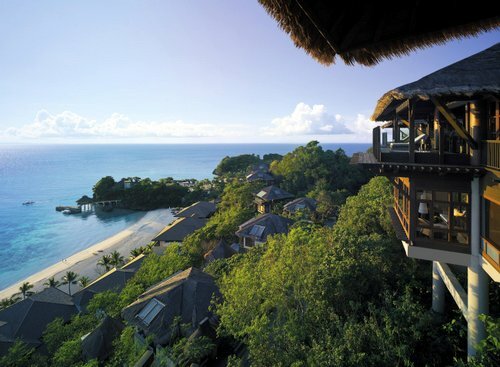 For a start there is something about a luxury island resort that inspires attraction. 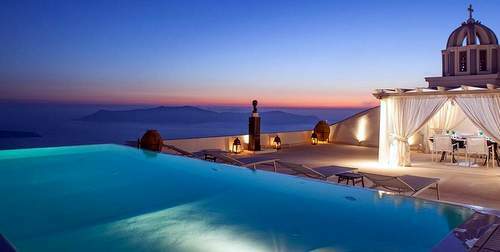 Santorini is a great destination in Greece but not the only romantic hotspot in Greece. 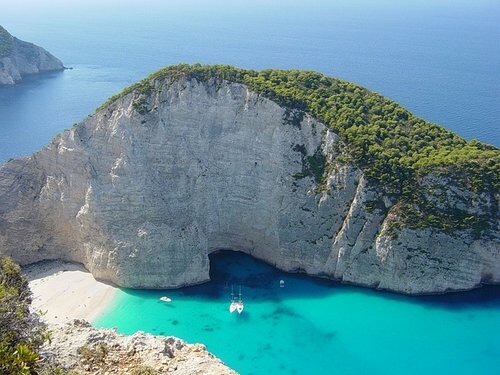 The secluded, clear calm waters of the Greek Islands offer a refuge and serenity that make romance seem natural. 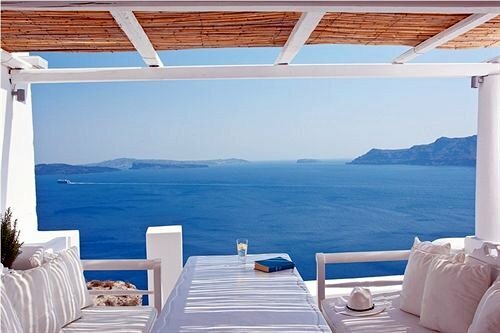 Santorini Island located in the Cyclades of Greece and is surely one of the most romantic spots on the planet. This is the lost Atlantis for couples and inspires a very different vacation from the everyday. The villas are located in Oia, Villa Katikies. A poolside bar and room service is available 24 hours and the like will make it seem every bit as luxurious as a big resort. 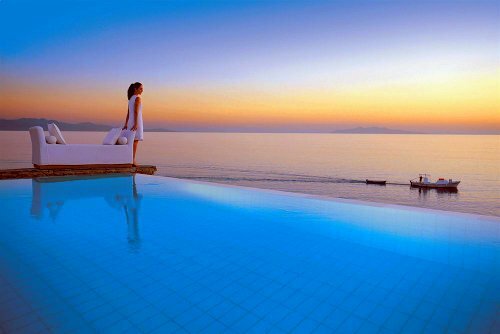 The four star Petasos Beach Hotel & Spa in Mykonos Town is another top romantic resort in Greece and definitely worth a look. 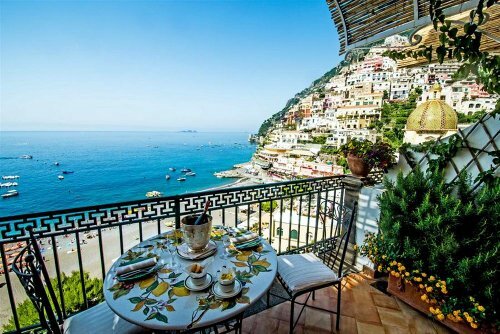 Located on the Campania Amalfi Hotel Buca di Bacco is a truly romantic destination resort. The 47 room romantic resort is a mid-range and affordable option. Click above for the latest rates. 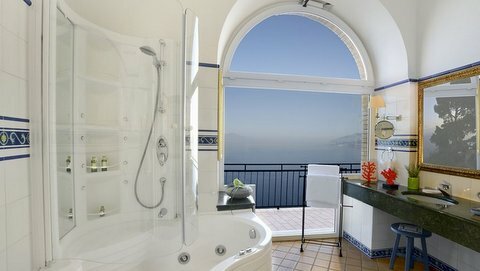 Perched on the high cliffs of Capri overlooking the Bay of Naples is the the Caesar Augustus Relais & Chateaux. In Italy, there are such a lot of romantic destinations and resort locations. We haven't even included a resort from Verona, the home of the Romeo and Juliet tragic romance and instead choose some other iconic locations like Venice. 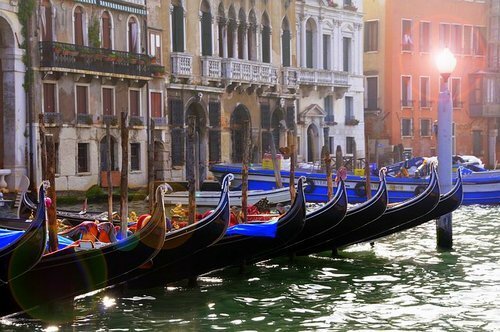 The Belmond Hotel Cipriani is our top pick for Venice. It has views of St. Mark's, Italian tile baths and great restaurants with spectacular views of ... water of course! Not everyone's idea of romance involves sparkling blue oceans. For some, a visit to the Tuscan countryside is exactly what the (love) doctor ordered. Relais La Suvera and Spa is a beautiful spot. This ancient farmhouse comes complete with art works by the great masters and is a fabulous place to explore the region. 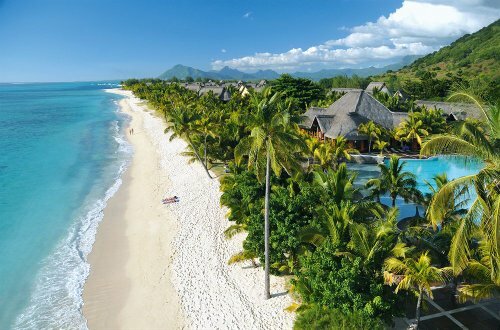 Click here for the top romantic and honeymoon resorts in Mauritius. 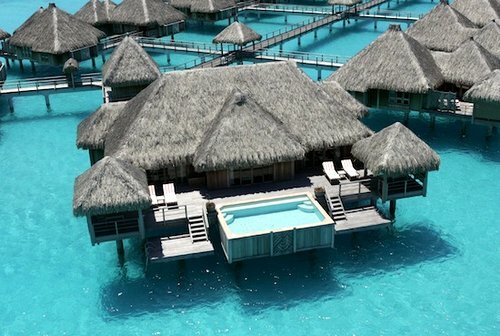 Exotic and secluded are these amazing Bora Bora resorts. 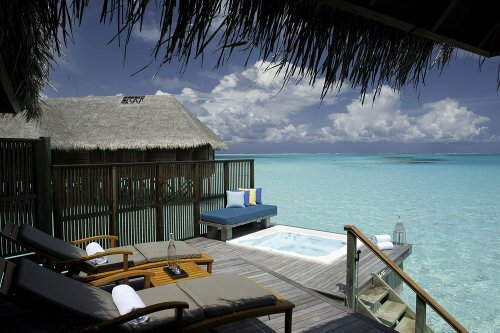 For top romance, choose an over water villa and snorkel right outside of your room! Boracay is in the Philippines and has some really romantic resorts. You're likely to get more for less here. 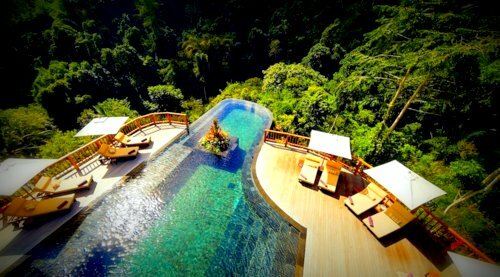 Bali is a tropical destination in Indonesia with lots of great resorts. Another spot that's a bit easier on the pocketbook. These Maldives romantic resorts are ideal for a secluded honeymoon or destination wedding. These are absolutely some of the best and our favourites. Another spot for snorkeling, seclusion and over-water villas. 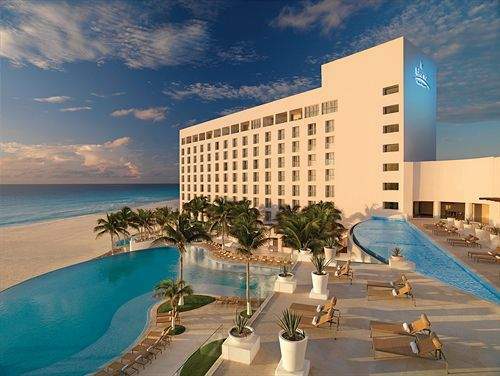 Our review of the top all inclusive romantic resorts, many of which are in the Caribbean and Mexico. The best of the best are listed on the link above and are for ADULTS ONLY. Our review of the top couples honeymoon resorts. These are located mostly in the Caribbean and adults only as well. Have a look at the right hand menu for more destination options.